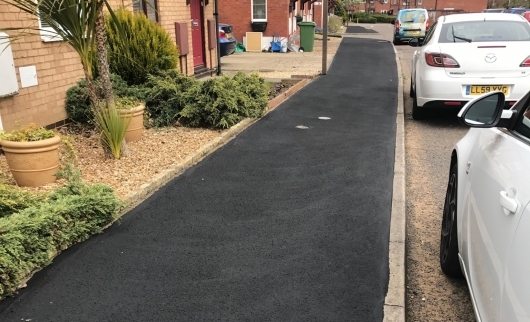 MK Highways is in to its 5th year of its footway/redway improvement programme and has targeted the areas both in need of most attention and also utilised innovative treatments that its new service provider - Ringway - has made available through the highways term contract. The capital investment made available as part of the transport investment has enabled an initial £6m investment over 2 years (2012 to 2014) to address the very worst sections of the network. This has arrested the decline and allowed the authority to start to plan towards a higher percentage of preventative treatments from 2015. Schemes are prioritised in line with the split between preventative treatment schemes and needs based schemes in order to achieve a cost effective balance of preserving footways/cycleways that have not yet fully deteriorated and fixing those that have, schemes will be built up independent in each category. Surveys are carried out annually to determine condition and provide priorities and programme lists with costs for each treatment type. An example of how we assess a footway treatment for an area to ensure sustainability is given on the link footway lifecycle - Bletchley. This assessment was used to select an area and the most cost effective surface treatment type to maximise the budget for the lifecycle of the surface. The project was delivered using 'Incentive Funding' from the Department of Transport .